Public authorities have the power to use procurement to create better working conditions and protect the rights of workers and communities by purchasing products that have been procured in a socially responsible manner. to foster the exchange on procurement activities as part of the Make ICT Fair Project. With the expertise of Electronics Watch, Procura+ Network and ICLEI Europe, procurement guidance including criteria and verfication schemes are being developed that consider social responsibility throughout the whole supply-chain of ICT products. These are applied by five pilot authorities: Greater London Authority (GLA), The City of Stockholm, Barcelona City Council, Advanced Procurement for Universities and Colleges Scotland (APUC) , and Gemeente Haarlem. The European Commission has granted three million euros funding for the three year project Make ICT Fair - Reforming Manufacture & Minerals Supply Chains through Policy, Finance & Public Procurement. Mobilise EU citizens/decision makers & ICT purchasers/procurers working in the EU Public Sector to improve workers'/communities' rights and conditions in the ICT industry. The EuropeAid project officially started on 1st November 2017. Advanced Procurement for Universities and Colleges (APUC) is an Electronics Watch Affiliate. The pilot authority has experience in integrating not only green but also criteria to achieve a socially responsible procurement. More specifically, the consortium supports various universities and colleges across Scotland to implement sustainable public procurement. More details on their pioneering tender as part of Make ICT Fair will follow shortly. Barcelona City Council is both Procura+ Participant and Electronics Watch Affiliate. This pilot authority will go through the process of integrating selected criteria, clauses and specifications for social responsibility in a tender of datacenters during Spring/Summer 2019. 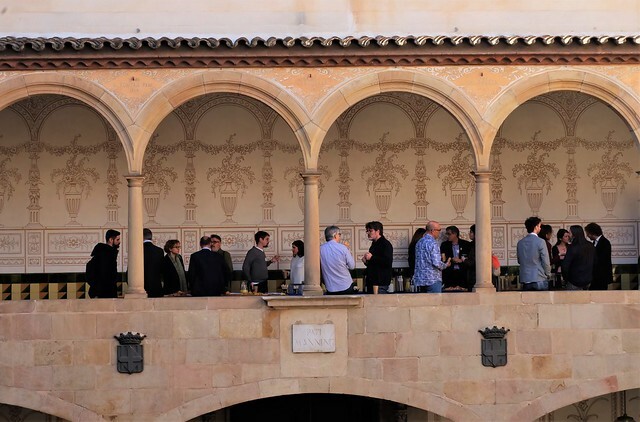 The respective Meet the Buyer Event took place 27th February 2019 in Barcelona. Gemeente Haarlem is another pilot authority of the project. In Spring 2019 a restricted tender on workplace hardware will be published. This means the procurement is divided in two rounds. One round for selecting a few interested parties and one round to select the best offer. The criteria and clauses of the tender will include social responsibility with the aim to go beyond previous efforts. The respective Meet the Buyer Event will take place 15th April 2019 in Haarlem, Netherlands. The Greater London Authority (GLA) is both Electronics Watch Affiliate and Procura+ Participant. As strategic regional authority it holds powers over transport, policing, economic development and fire and emergency planning. The GLA Group spends around £11billion on its procurement activities every year. As part of Make ICT Fair the GLA aims to include criteria and clauses on social responsibility in an upcoming tender that focusses on ICT in transport sector. More details on their pioneering tender will follow shortly. The Region of Stockholm is also an Affiliate to Electronics Watch. In the past, the pioneering authority has advanced social responsibility criteria and clauses into multiple tenders. As a result the authority holds significant experience, especially when it comes to contract management. This Meet the Buyer event facilitated the exchange between the needs and intentions of Gemeente Haarlem and the available approaches and capacities of suppliers to deliver an upcoming tender. The focus of the engagement was put on criteria of social responsibility as well as circularity of ICT workplace hardware. The event brought together public procurers from Barcelona City Council and retailers and suppliers in the field of ICT hardware e.g. work stations, processing infrastructure, laptops, to discuss procurement needs and solutions, focusing on social responsibility and transparency in supply chains. The live market engagement event took place this October (in Nijmegen, the Netherlands), back-to-back to the EcoProcura conference, brought together suppliers and public procurers to discuss social responsibility in ICT supply chains for information and communication technologies (ICT). Read more here. The Make ICT Fair Meet the Buyer - Series brings together public procurers and suppliers in the field of ICT from all over Europe or in a local context to discuss upcoming tenders that aim to pioneer social responsibility and transparency in supply chains. The event series aims to (1) inform about social responsibility in ICT procurement processes; (2) give space to present the upcoming tender as well as good practice examples for socially responsible procurement of ICT products; (3) facilitate the exchange between the public authority and potential suppliers and resellers with regards to their needs and capacities, respectively. Aim of the Make ICT Fair project is to exchange on the topics of socially responsible procurement, ICT hardware, supply-chains starting at mining of raw materials. The 4th Mobile Social Congress takes place in Barcelona focus on the modern slavery generated by the technology industry’s model of production and consumption, from the mine to the landfill. Electronics Watch holds an annual conference in December each year. This is the only conference in Europe that focuses on connecting leading practioners of socially responsible public procurement with labour rights monitoring partners from electronics production regions globally. Conference organised by EU Commission and Federal Ministry Republic of Austria to exchange on different themes related to a digital Europe. This project has received funding from the European Union’s EuropeAid programme under grant agreement CSO-LA12017/388-226.The sole responsibility for any error or omissions lies with the editor. The content does not necessarily reflect the opinion of the European Commission. The European Commission is also not responsible for any use that may be made of the information contained herein. The criteria and verification schemes presented on this webpage have been drafted on the basis of research on verification schemes as well as on procurement legislation and practices across Europe. However, no legal guarantee can be given by the authors. The authors does not take any liability whatsoever for the use of the information provided.